A St. Louis woman was stopped by IKEA loss prevention personnel last week when she attempted to leave the store with what appeared to be a frying pan bulging from her skin-tight leggings. Worst IKEA hack ever? 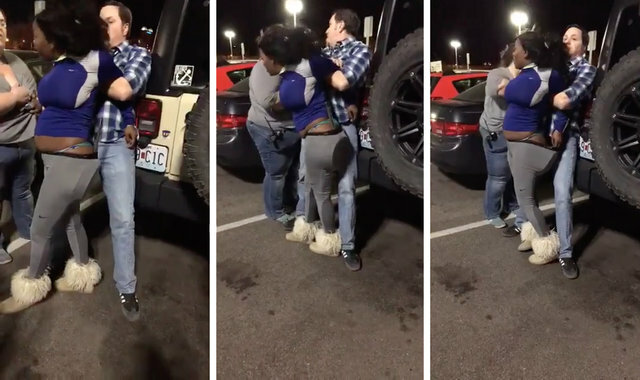 Sierra Coleman, who was reportedly pregnant at the time of the incident, fought with the IKEA employees as they attempted to restrain her in the store parking lot, and vehemently denied any wrongdoing -- even as the handle of the purloined pan protruded from the waistband of her leggings. Although it wasn't captured in the video, one IKEA employee claims to have been bitten by Coleman in the scuffle, and despite her claims that possession of the $30 pan was only a misdemeanor, IKEA loss prevention held her until the police arrived. Surely biting a Swedish meatball would've been a better choice? Coleman faces two misdemeanor charges for theft and assault, and reportedly paid 10% of her $5,000 bail -- that's $500, instead of the $30 it would've cost to just buy the pan outright. The fate of the frying pan itself, however, remains unclear.